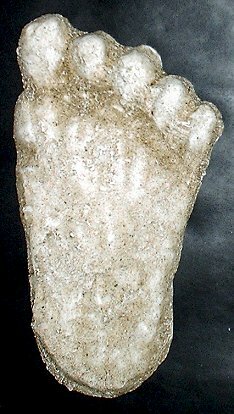 This Sasquatch footprint was originally cast at Bluff Creek California in 1960, by longtime Bigfoot Investigator and world famous big-game hunter, author Peter Byrne. It measured approximately 14" long by 7.5" wide at the toes. The track appears to exhibit the double or "split" ball that is common in Bigfoot footprints.